Innovation at Pedrazzoli involves the labels of PimaVera Bio charcuterie as well. Few ingredients, all declared. A simple recipe for tasty, healthy and high quality salami. Salumificio Pedrazzoli launches a new video in order to explain the simplicity of its ingredients to the consumers. 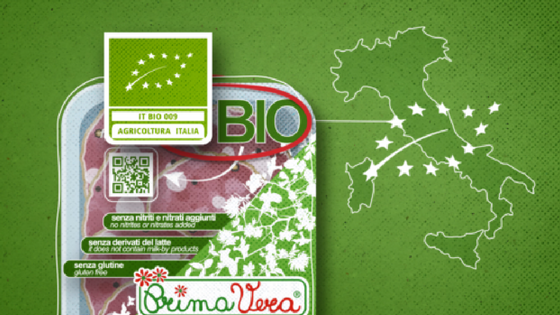 “We want our products to comply with consumers’ demands as far as quality, transparency, health and traceability are concerned” affirms Elisa Pedrazzoli, responsible for the organic Primavera line – “For us here at Pedrazzoli, to innovate means to propose products that are of course linked to the territory, to the slaughtering artisan tradition, but with a constant look at the renewed culture of eating good and healthy, which includes a continuous attention to all the production steps. From our production chain (100% Italian breeding farms, of our own property, on organic lands and without GMO) where we have strict and regular quality controls on animal health and respect of the environment, to the treatment of products. Manufacturing is done without preservatives, without colorants and gluten, and without any additives. They also have a reduced salt amount. Our aim is also that of educating consumers to a correct and healthy nutrition, giving them clear and transparent information on the labels about the distinctive elements and advantages that breeding farms and production like ours can bring to our products. Here comes the choice to convey all of that through an animation video. In a few simple pictures, it explains to consumers that to innovate simply means “doing good” for those who, like Pedrazzoli, make charcuterie for passion. Guarda il video sul nostro canale YouTube e scopri le novità. Leggi anche il nostro articolo di approfondimento.